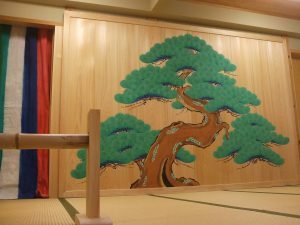 Our small Ryokan is situated in Nara-machi area.Good location for sightseeig.We take care to entertain in the old Japanese Traditions. You can try Japanese calligraphy and Kyogen. You will get a taste of good life Japanese style. It takes about 10 minutes by walk from Kintetsu Nara station.It takes about 15 min on foot from JR Nara station 15 minutes by walk from JR Nara station.